One of the pages in the Where to Bring Your Game section includes a photo of several different sports items insides a locker. Fun fact: Those items are actually inside one of the lockers in the Rockford IceHogs locker room at the BMO Harris Bank Center! The skates, hockey stick and pucks all came from the IceHogs, but the rest of the items all came from various members of the RACVB marketing team. My contribution was the IceHogs sweater...which belongs to my husband! 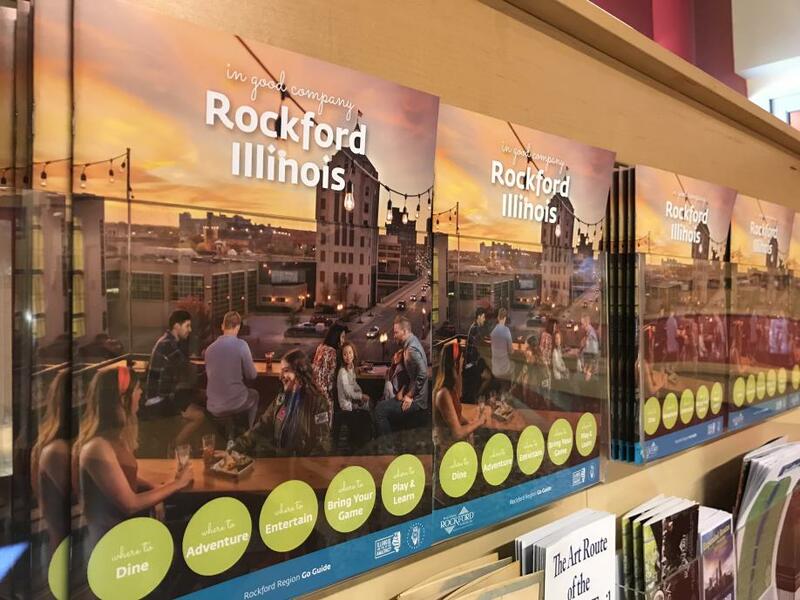 The entire Go Guide features the places and people that make the Rockford region amazing, so it only makes sense that the whole production of the guide is local as well! The photography used in the guide was either provided by the attraction itself, or taken by a local photographer. One of our main photographers was actually a previous summer intern at the RACVB, Tyler Yomantas! (If you like the large skateboarding photo in the Where to Shop section or the photo from the rock concert at the Coronado in the Where to Entertain section, you can thank him.) Once the book was ready to go, we had it printed by a local printer right here in downtown Rockford. 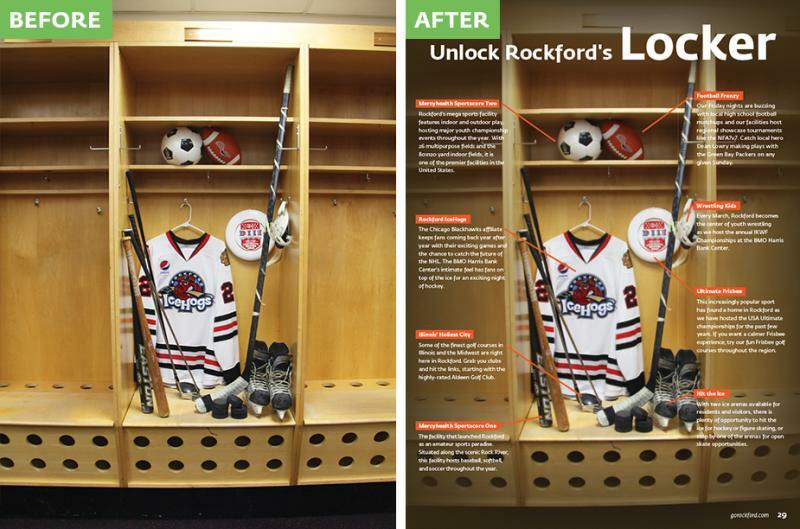 From the content to the guide creation, this guide is Rockford-focused! 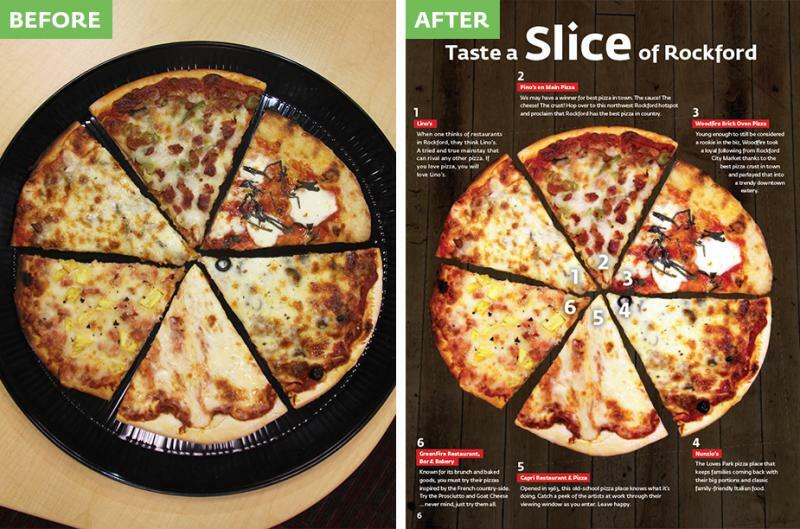 I hope you take some time to grab a guide and flip through it! It&apos;s also available online as a PDF you can download for your convenience!